I found this recipe in a publication that my electric cooperative sends out monthly. Great Recipe! A wonderful comfort food on a cold, dreary day. 1-2 medium garlic cloves, minced. 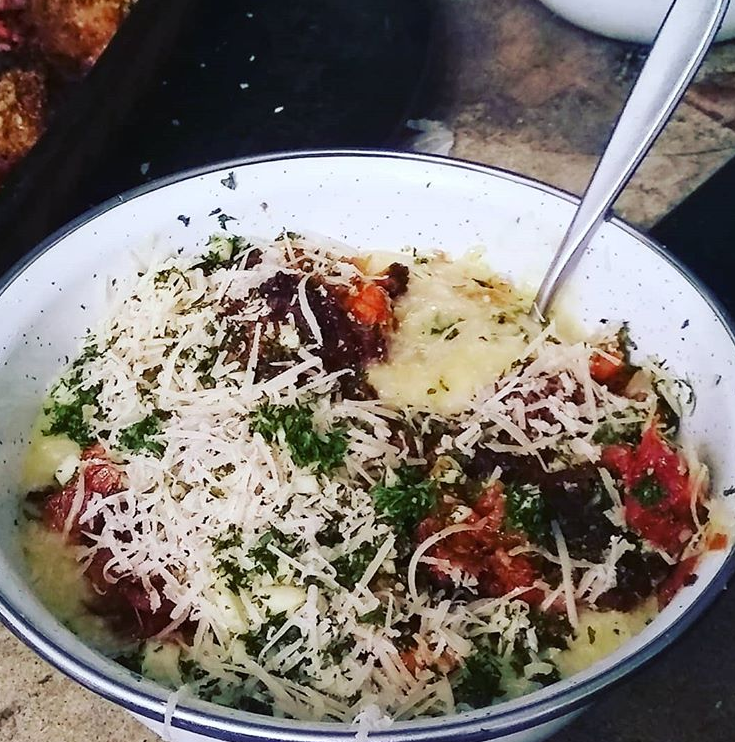 MEATBALLS: Combine the bread and milk in a large bowl. When the bread is soft, mash it with a fork (or fingers), then add the beef, bacon, egg, salt, pepper, parsley, Parmesan, and shallots to bowl and mix thoroughly. Make meatballs 1 ½ inch- 2 inches in diameter. Heat the olive oil in a 1 inch, high sided skillet over medium-high heat. Dredge the meatballs in the breadcrumbs, then brown them on all sides. Remove meatballs from skillet and set aside. SAUCE: Preheat oven to 350 degrees F. Add butter to the drippings in the skillet. Add the onion, celery, carrots, stirring until softened. Add the wine and simmer for 5 minutes. Add the tomatoes with liquid and simmer an additional 5 minutes. Transfer the sauce and meatballs to a 3 quart casserole dish, cover and bake 1 hour. Allow the meatballs to cool briefly while you prepare the gremolata. GREMOLATA: Combine the lemon zest, parsley and garlic in a small bowl. Serve the warm meatballs with a sprinkling of gremolata over each portion.